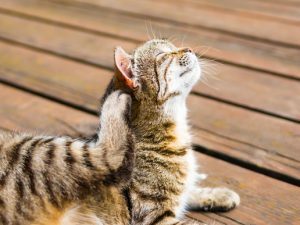 Getting rid of fleas naturally…We can’t stress enough that it’s important to get rid of fleas from our cats, in the most natural way possible. No matter the animal, fleas are bad news (they were responsible for the plague, in fact, they still are). On dogs and cats, they can cause severe itching due to allergic reactions to flea saliva. If Fido or Whiskers is infested expect a lot of fur deposits all over the house. Also, there will be unseen flea turds all over the couch and carpet we lie in while watching TV. 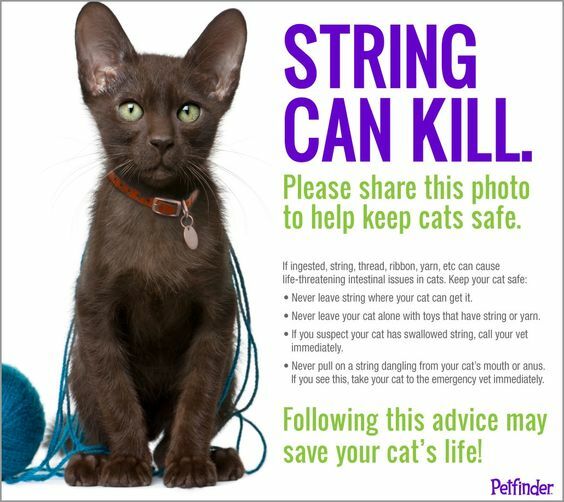 Fleas are also responsible for tapeworms in our cats. 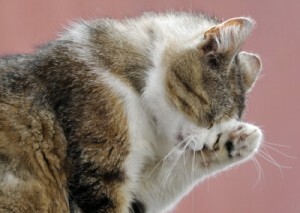 If you really love your cat (of course we all do), you’ll need to get rid of fleas naturally. Several natural solutions can be used including garlic (yes, garlic), and brewer’s yeast. Getting rid of fleas naturally is important, Why? We could use dishwater soap which many owners swear by, so why stick to natural? Well, because it’s common knowledge that natural is best and should be the first course of action as much as possible for most medical problems. Natural methods that are proven (because ‘snake oil’ is natural too). Additionally, we don’t want to leave any chemicals on our pet’s fur. Cats love to lick their fur you know. Leftover chemicals could also cause allergic reactions on the skin and you’ll only be replacing a natural pest with an artificial one. 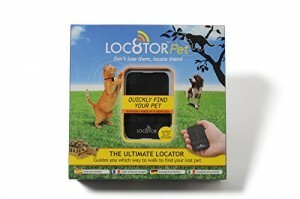 They can also slowly poison your cat while he or she is grooming. So you’re probably itching to know how garlic and brewer’s yeast can help get rid of feline fleas. Curl up and read on. It’s a great irony that garlic deters bloodsuckers. The scent of garlic can help repel fleas and it’s probably where the vampires-hate-garlic thing originated. Using the proper dosage, feeding garlic and brewers yeast tablets or powder with cat food will result in our pets secreting enzymes through the skin that are harmful or repellent to parasites like ticks and fleas. Done properly fleas will avoid our pets like the plague (get it?). A note about garlic, too much is harmful to pets so follow instructions carefully. 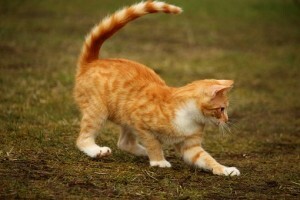 All Things Cat will always have information on the treatment of fleas naturally. Next up is brewer’s yeast. Thiamine, which occurs abundantly in brewer’s yeast is another natural flea repellent. Like garlic, it’s fed to your pet mixed with food. The yeast is ingested and the thiamine is also exuded through the skin and off go the fleas. Aside from thiamine, brewer’s yeast also contains amino acids and other B-complex vitamins. So, a toast to brewer’s yeast. There are also tablets and powder available that mix both garlic and brewer’s yeast, resulting in the best of both worlds and then some. These forms qualify as natural since they’re made of natural garlic extract and brewer’s yeast with a few vitamins in the mix. So garlic and brewer’s yeast in tablet or powder form is one of the best methods to get rid of fleas naturally. A flea and chem-free cat is not just a happy kitty but a healthier one. Don’t forget if you see fleas on your pet, your home must also be treated to get rid of the eggs and larvae. This too should be done with getting rid of fleas naturally… products.